No one wants to die. Even people, who want to go to heaven, don’t want to die to get there. Yet death, is the destination we all share. Death is very likely, the single biggest invention of life. It’s life’s change agent. It clears out the old, to make way for the new. In this video, I will share with you 10 amazing facts, about the person who made our fingers touch technology, and delivered innovations, for the world to remember, that’s Steve Jobs. Steve Jobs was born on, February 24, 1955, in San Francisco, to Abdul Fattah Jandaali a Syrian Muslim immigrant and Joanne Schieble, an American graduate student. His biological father, grew up in Syria, and met his biological mother at the University of Wisconsin. At the age of 23, they both thought, it was too young to marry, and having a child out of a wedding, was unconventional, and not a trend in those days. so they gave their baby, to Steve’s adoptive parents, Paul, and Clara. They agreed to raise Steve, on the promise that he would go to college. #2 Jobs was always bullied at school. In the sixth grade. Steve attended, Crittenden Middle School, where he was bullied, for allegedly being odd, among all the kids. This resulted in Steve giving his parents, an ultimatum, that he would drop out of school, if they didn’t move from San Francisco. So, they all moved to Los Altos, in California, which in the future was the birthplace of Apple Corporation. #3 Jobs was a college drop out. Jobs completed his schooling from Homestead High School in Silicon Valley, but dropped out of Reed College, because he didn’t want to spend his parent’s money. However, he continued auditing classes, sleeping on the floors of friends’ rooms, collecting water and soft drink bottles for food and getting meal every Sunday, at a local Hare Krishna Temple. Jobs also attended some classes for calligraphy, which helped him later. In his 2005 commencement speech, for Stanford University, Jobs stated, that if he hadn’t dropped into calligraphy classes, the Mac, apple’s computer, wouldn’t have had multiple typefaces, or proportionally spaced fonts. From early years, Jobs took interest in technology, and attended various after-school lectures, at the Hewlett-Packard Company. He briefly worked at the same company, as a summer intern with Steve Wozniak. When Jobs was 12, HP founder, Bill Hewlett, offered him a summer job, after Steve called him asking for parts, for an electronics project. It was known, that Jobs had a keen interest in engineering, from a very young age. In 1974, after working with electronics and video game company. Atari, Jobs travelled to India, for 7 months in search for spiritual enlightenment. He meditated often and was a known pescatarian – eating fish, but not meat. He also liked to walk barefoot. #5 He experimented with psychedelics. Steve Jobs experimented with LSD. It’s one of the most potent, mood changing chemicals. It is manufactured from lysergic acid. Jobs experimented LSD a few times claiming, that it was a profound experience and one of the most important things in his life. He claimed it helped him to think differently. In 1974, Jobs joined Atari, a video game maker, and attended meetings of Homebrew Computer Club, with Steve Wozniak, with whom he later founded Apple .On April 1, 1976, Jobs and Wozniak formed Apple Computer. They created the circuit board in a garage, and set Apple 1 on sale, by midsummer. In 1977, Apple launched Apple 2 the first computer ever that generated color graphics. Jobs ask John Sculley, to quit Pepsico and serve as Apple CEO. He convinced him by asking, “Do you want to sell sugar water, for the rest of your life, or do you want to come with me, and change the world? On January 24, 1984, Jobs introduced the Macintosh, which became the first small computer with a graphical user interface. But Sculley and Jobs visions for the company greatly differed. Also the product that Jobs was heading, Macintosh, was a failure. In May 1985, Sculley decided to reorganize Apple, and proposed a plan to the board of directors, that would remove Jobs from the Macintosh group, and put himself in charge of New Product Development, as John Sculley thought, Jobs was too young and temperamental, to run Apple. Jobs had a child with Chrisann, Brennan from his high school girl, called Lisa. Even after a DNA test proved, he was the father, he still continued to deny it, claiming he was sterile but later acknowledges her, as his daughter. He named the computer, Apple Lisa, after his daughter. After being fired from Apple, In 1985, Jobs founded NeXT Computer, with and investment of $7 million. He promoted NeXT products, across scientific organizations, government bodies and educational institutions but sales were limited, because it was too expensive. Soon later, Apple Corporation, purchased NeXT stock, resulting in Steve returning to Apple. There is a silver lining to this story, the combination of NeXT hardware with Apple, resulted in operating systems like, i O S. used for the i Phone. In 1986, Jobs bought The Graphics Group which he named Pixar. By the year 1993, Jobs sold 50,000 NeXT machines. In 1993, Apples reported quarterly loss of $188 million. It failed to compete with IBM and other computer giants,that led to the resignation of John Sculley. In 1998, Jobs is requested to take over as the interim CEO and the same year Apple started making profits. iMac desktop, becomes the most successful computer, in the year 2000. In 2001, Apple formally announces Jobs, as its CEO. The same year Apple launched iPod and releases iTunes software. In 2003, Apple launches iTunes Music Store, Disney Group buys Pixar, for $7.4 billion in the year 2006. In the year 2007, Apple releases its first iPhone, and sales for apple corporation start to multiply. Steve Jobs’ success meant that he made it, on a number of Forbes lists. He was number 17, on most powerful people in 2010, 39 on the Forbes 400 rich list in 2011, and 110 on Billionaires in 2011. Jobs called the former VP of Google, Vic Gundotra, and told him that second O in Google, had the wrong shade of yellow, and that he was going to fix it. Evidently, Steve had incredible attention to detail. And it’s pretty clear, the way apple products are designed. #10 He is buried in an unmarked grave. Jobs was diagnosed with pancreatic cancer, in 2003. He tried natural alternative healing, such as becoming a vegan, acupuncture, and herbal remedies. He resisted medicine. Sometimes, life is going to hit you in the head, with a brick. Don’t lose faith. 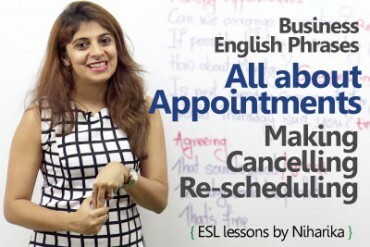 Previous Previous post: Funny English errors found in Facebook comments. 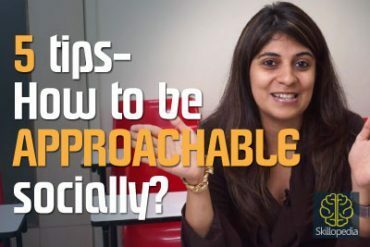 How to be Approachable socially? 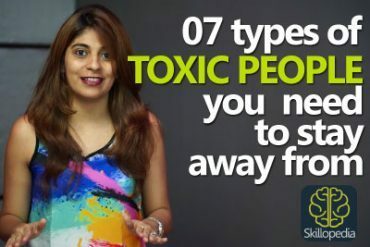 07 types of toxic people you need to stay away from.